Online payment security is something that can't be overlooked in an online E-commerce store. Magento 2, which is no exception, requires a system where payments can be captured online securely. Additional security layer through 3D secure to reduce fraud payment transactions and card theft. CVC verifications confirm secured payments. This enhances the security of the system. Process the payments in Magento 2 store with PCI DSS level 1 compliant processor. Allow customers to save their cards for upcoming purchases. It eases the payment process and makes it faster for the customers. Direct refund facility for admin to process customers' returns faster which results in better customer service. Offers a sandbox mode for testing the payment method. Option for gift aid to exempt VAT for particular donation payments. Customers can add card details and finish payment using a form in a separate payment page. 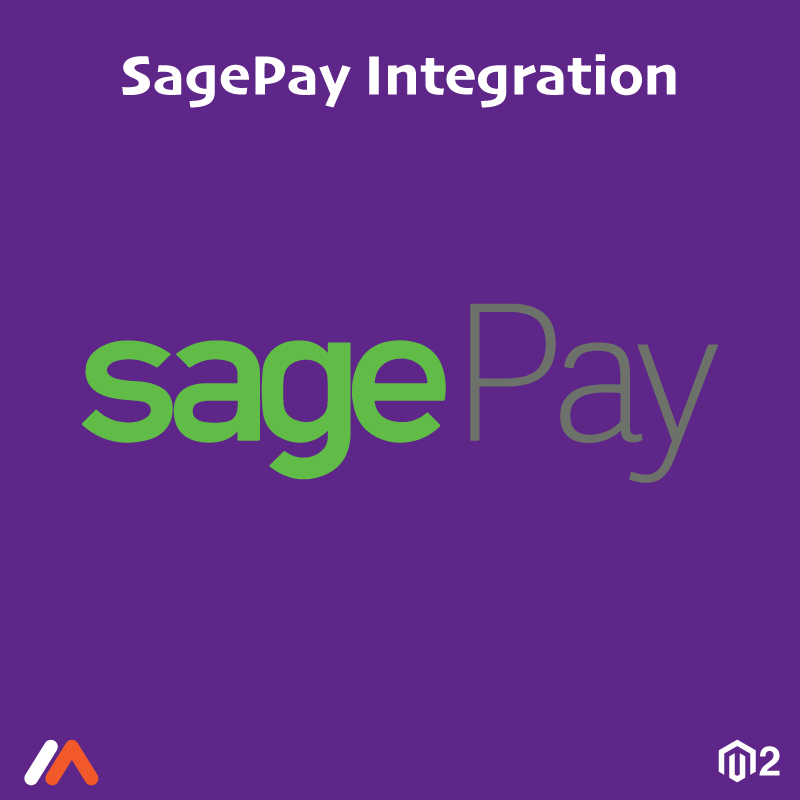 Display Sage Pay logo on the checkout page. Offers sandbox mode to test the payment methods. Authorize facility for store owners to quickly capture payments without making requests to SagePay's server. The direct payment method allows setting order status for the new orders placed. Allow selecting credit card types to accept payments. Set the upper and lower limit for the order total amount to allow using the payment method.